January 17, 2019 The 7U Applied Controls car finished 15th in the A Feature last night at the 2019 Lucas Oil Chili Bowl! January 11, 2019 This week ACSI put the finishing touches on this O2 Analyzer System for a Midstream Oil and Gas Company. Analyzer is housed in a 48” x 36” x 16” NEMA 4X 316SS Enclosure. The Analyzer Output Ranges 0-10ppm to 0-25%; Class 1 Division 2 Groups B, C, D. Small Footprint Design for Cost Savings, Mobility and Ease of Installation. January 3, 2019 ACSI just finished production of this Catalytic Reforming Unit (CRU) CEMS Shelter for a national refiner. Some of the project specifications include: 10’ x 12’ General Purpose (Interior and Exterior) Shelter; Analyzer Room Containing: HVAC with Purge; Analyzer Rack; O2 Analyzer; NOx Analyzer; UPS, DAS Controller; Area Monitor. 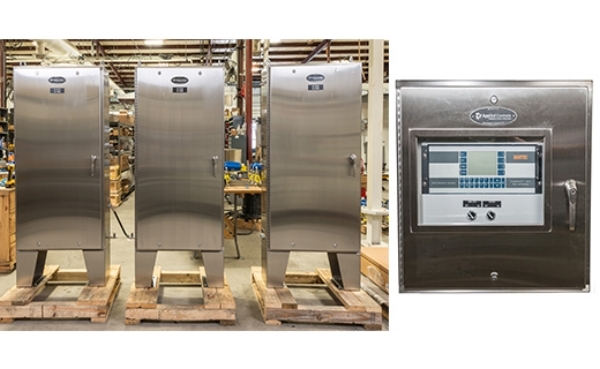 Single Stream Stainless Steel Sample System; 45kVA Transformer; Distribution Panel with Surge Protector. Effective communication and transparency with the customer throughout this entire project allowed us to deliver on-time and on-budget. The customer also commented how incredibly pleased they were with the professional level of our FAT process in comparison to others they’d participated in with other integrators. December 13, 2018 ACSI recently put the finishing touches on this 10’ x 18’ 2-Room Alky Flare Analyzer Shelter. Our in-house/multi-discipline engineering team provided initial project development including engineering and design prior to production. A few of the project highlights include: Class 1, Division 2 Area Classification (Interior and Exterior); Single Stream Sample System with Hastelloy Wetted Components. Analyzer Room containing: HVAC and NFPA 496 Purge; One Mass Spectrometer; Purged Enclosure Containing UPS, DAS Controller, and Area Monitor PLC. Heated Gas Bottle Room containing: Exhaust Fan Actuating under Area Alarm Condition; Wall Mount Gas Bottle Regulators for 150 and 300 cu. ft. Gas Bottles; Floor Mounted Bottle Rack. 75kVA Transformer with Transfer switch capable of changing over to Generator Feed Power via Shelter Mounted Receptacle. July 19, 2018 ACSI recently finished production of this 10’ x 20’ 2-Room RSR Shelter – Class 1, Division 2 Area Classification (Interior and Exterior); Two Single Stream Sample Systems Maintained at 230°F. Analyzer Room contains: HVAC and NFPA 496 Purge; Two Mass Spectrometers; Area Monitor Control Cabinet; Purged Enclosure with UPS and DAS Controller. Gas Bottle Room is heated with Exhaust Fan Actuating Under Area Alarm Condition. June 1, 2018 We recently completed production of two Analyzer Systems measuring Total Chlorine for a National Refiner. This simple, but customized system included: stainless steel cabinets with HVAC and z-purged; external lab grab port to allow for sample collection; Class 1 Division 2 area classification. Large or small - let us customize your next system! 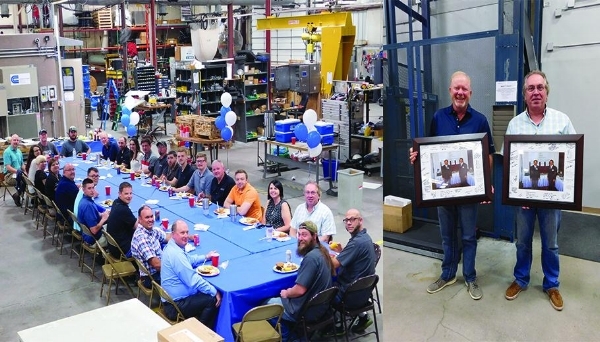 May 7, 2018 Celebrated Tim Leger and Robb Vanskike today and their incredible business accomplishments over the years. This year commemorates 20 years in business for Application Controls Analytical System Integration. April 30, 2018 We recently finished up production of this 10’ x 24’ x 7’ 3-Room RSR Shelter. This shelter contains a Computer Room (GP Area with Safety Purge HVAC); Analyzer Room (Class 1, Div. 2 Area with Safety Purge HVAC); Gas Bottle Room (Class 1, Div. 2 Area with Exhaust Fan); A Mass Spectrometer Analyzer for Monitoring BTUs, H2S and Total Sulfurs in the Flare Stack; One Hastelloy Sample System with Multiple Gas Validations; Redundant Area Monitoring System for LEL, H2S, and O2 with Custom PLC System Control; Wired and Plumbed for Remote System Validation. April 18, 2018 Applied Controls Analytical System Integration has reached another milestone in the history of our company. This month we celebrate our 20th year in business. Over the past two decades a lot has changed, but more importantly, our main focus has remained the same. We continue to provide innovative analytical system solutions to our clients using a best-fit solution approach; combined with expert knowledge, outstanding customer service, and superior service after the sale. We are grateful to have a team of over 30 talented and passionate professionals that contribute to our success on a daily basis. We truly appreciate and are thankful for our clients and their belief in our abilities to help them achieve their goals, while always challenging us to be better. Thanks for an incredible 20 years. We look forward to continued growth and future success. April 18, 2018 ACSI was recently audited for the new ISO 9001:2015 quality management system standard, which includes requirements from the previous standard as well as others such as Risk Management. We’re proud to report that there were no findings and we’ve been recommended for certification with highly positive remarks. The auditors were extremely complimentary regarding our business processes and commented that our audit ranks among the best audits they have ever conducted. This effort and feedback reaffirms ACSI’s commitment to follow disciplined processes directed at meeting customer requirements, supplying quality products and services, and continuous improvement. Great job team!! Are You RSR Compliant? Have a Plan? Per Refinery Sector Rule (RSR) CFR63.67, effective January 30, 2019 refineries will be required to measure BTU in flare gas. Let our team of experienced engineers help plan and execute your RSR compliance project. Please call to arrange a no cost review of your current retrofit or new installation considerations. 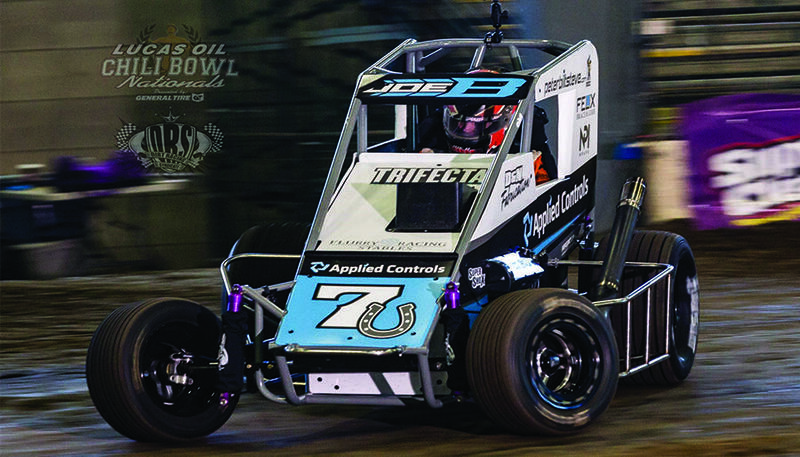 The #7U Applied Controls car finished 13th in the A Feature at the 2018 Lucas Oil Chili Bowl Nationals. February 13, 2019 Process automation is a key issue in Liquefied Natural Gas (LNG) plants to ensure cost-efficient plant operation, high product quality, and process analytical systems deliver important data for plant control and operation. Gas Chromatographs are the typical type of process analyzers in LNG plants to make measurements for plant performance optimization and measurements of calorific value at many points throughout the process. GCs are complemented with online spectroscopy analyzers to provide continuous measurements of H2S and CO2 throughout the process as well. January 30, 2019 Refineries will be required to measure BTU in flare gas. When deciding how best to implement this mandate within your facility, there are several analyzers to consider – Gas Chromatograph, Mass Spectrometers and Calorimeters. ACSI’s experienced team of engineers can help plan and execute your RSR compliance project. Contact us to schedule a no obligation, technical presentation to discuss details of your requirements, i.e., new installation, retrofit, analyzer comparisons, sample conditioning, sample probes, safety, and performance. With over 75 years of combined experience and collaboration with numerous manufacturers, we can provide you with a best-fit solution for your RSR application. November 15, 2017 ACSI has developed a cost-effective, pre-engineered CEM System specifically for the Power Industry. This system conforms to U.S. EPA 40 CFR 60/75 and utilizes best-fit solutions to fulfill the measurement piece of your permit. The standard design includes detailed engineering and drawings, and integration of quality manufacturer equipment well known to the industry. This pre-engineered approach ensures a desired price point, and improved response and delivery times. As with any of our projects, we can accommodate any customer-required modifications or specifications as needed. Check out our Literature page to learn more or give us a call at 800.505.4122. October 17, 2017 The compliance deadline for implementation of the US EPA Refinery Sector Rule (RSR) for all types of flares is January 30, 2019. 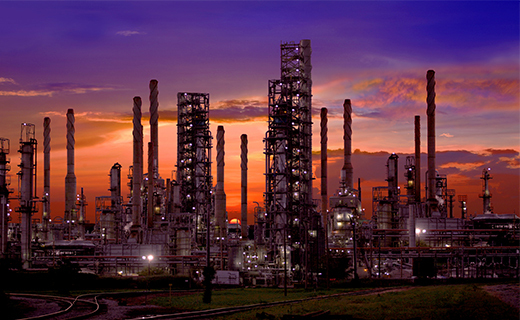 For US Refineries, this rule imposes stricter emissions limits and requires further analysis of material sent to the flare. Additionally, new reporting requirements must be implemented as well. ACSI has a dedicated RSR Review Team ready to discuss your compliance needs. With over 20 years of experience in diverse industries, and through collaboration with numerous manufacturers we provide a best-fit solutions approach to all projects; a unique approach that allows us to provide the safest, highest performing, lowest cost of ownership, and most robust analytical systems solutions in today’s market. October 9, 2017 We recently finished production on this Power Plant CEMS project. 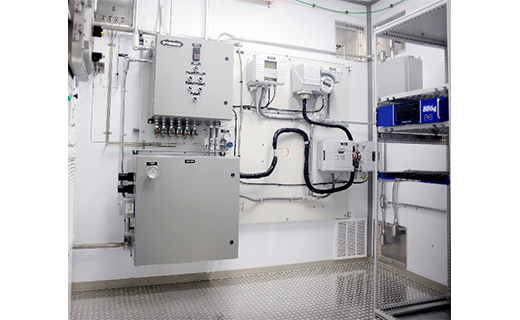 Some of the highlights include: Two fully independent rack-mounted CEMS; 10’ x 12’ climate controlled shelter; NOx and CO2 monitoring; heated calibration gas bottle room; integrated data controller manages remote sample system actuation and notification, as well as reporting data for environmental compliance; Two 24,000 BTUH HVAC units with 5kW heaters; General Purpose area classification. October 2, 2017 ACSI is not chained to any specific brand of equipment, unlike our competitors. 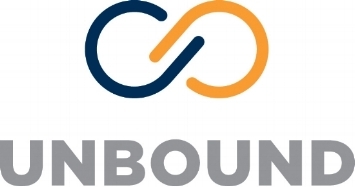 What we offer customers is freedom from constraints. Because doing it right means harnessing the best of everything available, then designing and engineering it to levels of performance you simply can’t get anywhere else. September 1, 2017 Moisture in Hydrocarbons are a crucial measurement for many Dryer and Blending applications/processes. This can include anything from Butane, Propane, Diesel, and other additional streams. The measurement is not only a vital process control measurement, but is required for custody transfer applications. Our designs ensure that the Hydrocarbon Dewpoint for all/any streams are considered and facilitated to guarantee a quality, repeatable, representative analysis no matter what analytical device is utilized. Check out our Literature page to learn more or give us a call at 800.505.4122. August 21, 2017 We recently completed production of this custom Marine Vapor Oxygen Analyzer System. Just a few of the highlights of this unit include: Redundant oxygen reading (one 420 mA output per analyzer, Modbus capable); Redundant flow alarm; HMI Interface; Remote Operation Capable; Modbus Capable; Comprehensive pass/fail alarm with status indicator; One touch calibration; Powder coated stainless-steel enclosure (for harsh marine environment); 400W heater for freeze protection; Class 1, Division 2. Visit out our Literature page and download the product brochure for additional information. August 14, 2017 Many ammonia facilities have original sample conditioning systems and mass spectrometers that were installed over 25 years ago. Many of these systems, particularly on wet streams, were poorly designed and as a result affected analysis performance. With our years of experience in the fertilizer industry, and knowledge of the latest technologies, we can provide a proven design to ensure a quality/repeatable ongoing analysis. August 1, 2017 Production is complete on this Class 1 Division 2 Process Analyzer System for a National refiner. 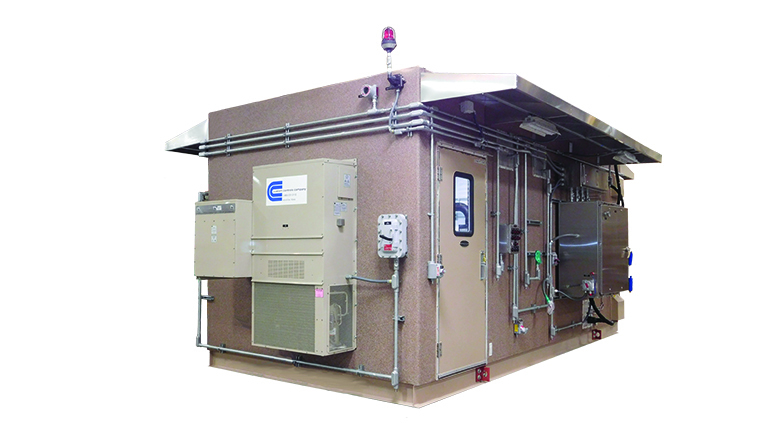 It measures specific gravity, oxygen, carbon monoxide & methane, and carbon monoxide; contains a process sample conditioning system; HMI alarm displays with heat trace setpoint control; fully integrated alarm system with interior and exterior controls; 8’x 8’ walk-in shelter with ground pads; and a 2-ton wall mounted HVAC with pressurizer. Check out our Literature page and download the product brochure for additional information. July 27, 2017 Come see us Monday, July 31st – Wednesday, August 2nd at the Appalachian Gas Measurement Short Course. Hosted by Robert Morris University in Moon Township, PA. Stop by table 1003 to discuss your environmental or process analytical system needs. Lots of giveaways! July 18, 2017 Measure BTU for Custody Transfer and Process Control The gas chromatograph is recognized as the benchmark for measuring hydrocarbon components, calculating and outputting Btu value. Our self-contained unit does not require a walk-in shelter, and the compact design allows for easy placement near the sample point to reduce response time. The package includes heated and non-heated sample probes, sample transport lines, sample conditioning, temperature controls, power supply, power distribution, analyzer, heated enclosure and communication. Check out our Literature page and download the product brochure for additional information. July 6, 2017 ACSI's in-house, multi-discipline engineering staff can provide Front End Engineering Design (FEED) studies as a critical first step in the implementation and success of process analytics projects in various industries. June 20, 2017 ACSI recently completed production of this custom Process Control System for an Ethylene Oxide Plant. 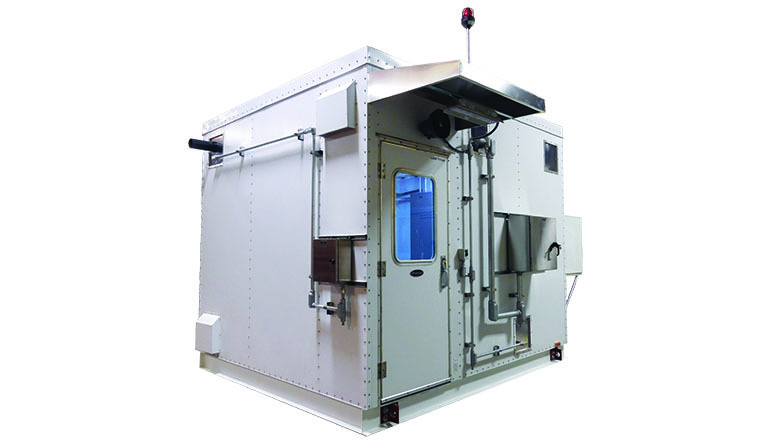 The 13.5’ x 7.5’ stainless-steel walk-in shelter is packed with 6 analyzers (Mass Spectrometer, Gas Chromatograph, Paramagnetic, Multiwave Photometer), 9 sample points, 4 sample conditioning system in 2 heated enclosures, 3-ton wall mounted HVAC with pressurization and 50’ stack, and a fully integrated alarm system monitoring temperature, pressure, LEL and O2 with interior and exterior controls. June 7, 2017 ACSI’s ISO 9001:2008 recertification was approved without remarks. Moving forward, we will begin the transition to the newest standard, ISO 9001:2015, that will be initiated during 2017. May 30, 2017 We put the finishing touches on this CEMS Boiler Project today. 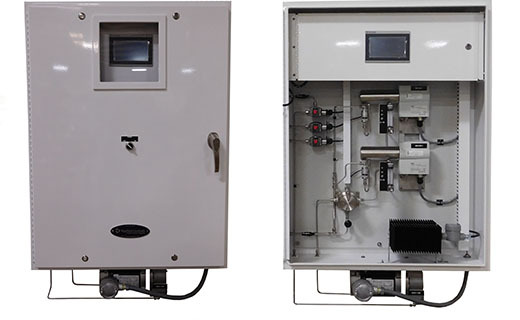 Just a few of the custom features include: two fully integrated CEMS, integrated controller for analyzer control and environmental reporting, two complete double-block and bleed systems for automatic bottle switching, safety system for LEL, H2S, Co and O2 area monitors with horns and strobe.